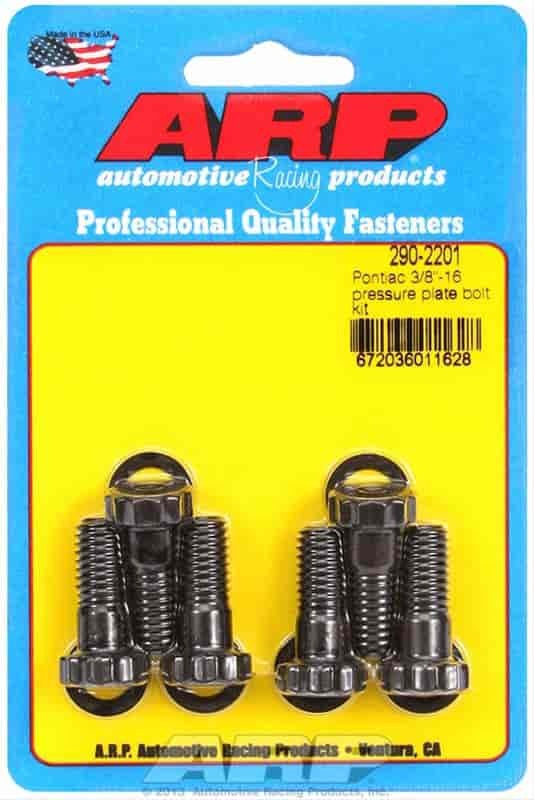 ARP's Pressure Plate Bolts play an important role in racing or high-performance use, both in safety and peformance. These bolts are application specific which ensures the optimum grip length and feature a large diameter, low-profile design. Pressure plate bolts are available in two versions; High-Performance Series and Pro Series. Each come complete with washers. High-Performance Series: Made from premium grade chrome moly and hardened to a nominal tensile strength of 180,000 psi. Pro Series: Originally developed for NASCAR competition. Premium grade chrome moly and hardened but are stronger and rated at 190,000 psi.